Grand Point was asked to join Essent’s Digital Delivery team to advise and direct how to generate more sales via online advertising, social campaigns, and website user experience. Responsibilities included interaction, visual, and motion design throughout various touch-points. 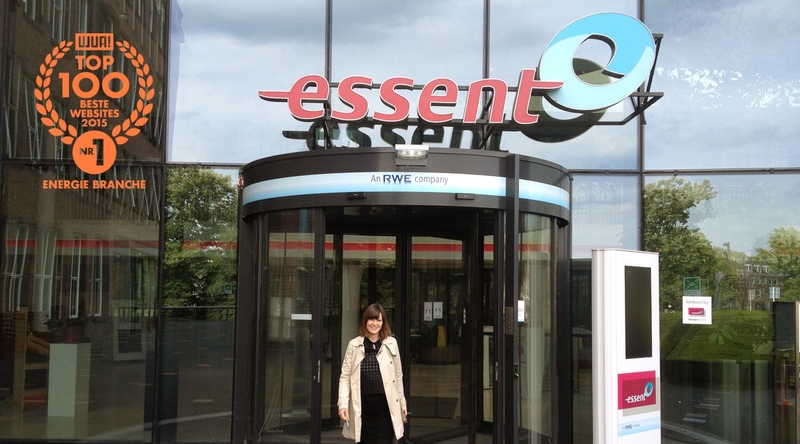 Essent.nl was later named #1 Energy Branch in WUA!’s Top 100 Best Websites of 2015! Initial research of website flows, allowed us to see where the holes were in the original design and we were able to create wireframe prototypes to create a smarter and more intuitive user experience. 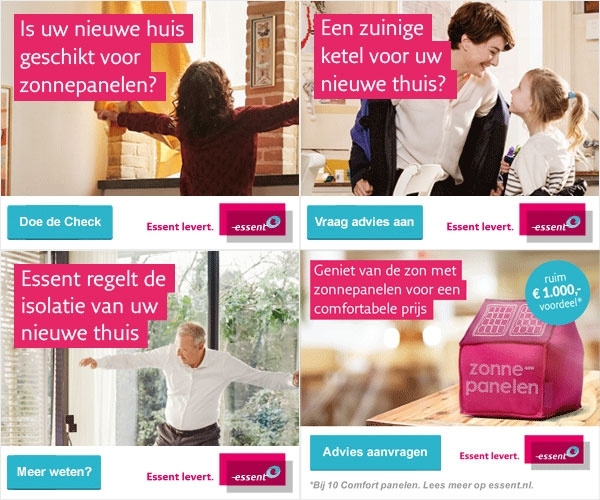 Various campaigns were released during our time at Essent, and with each, a new advertising banners were rolled out to support them. Rich banners are an important part of reaching any target audience, and they clearly brought in more sales with accompanying photos, video and graphics that helped enforce the campaign promises. One of five episodes in a series of social videos created to start conversations about energy conservation. Heb jij ook al een waterbesparende douchekop? 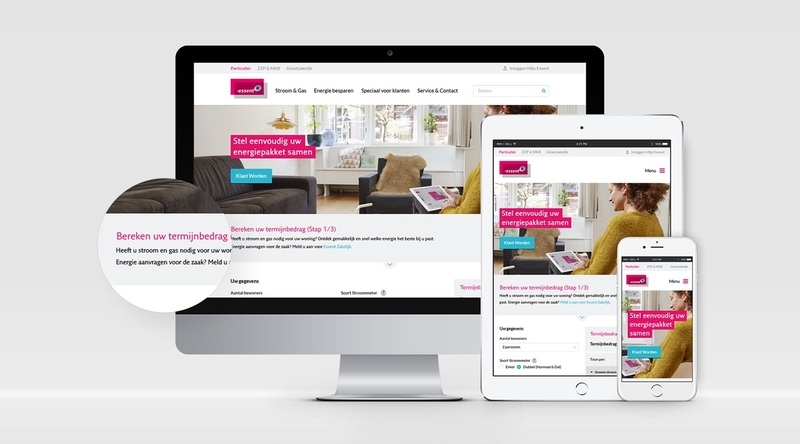 One of the main goals Essent set out for us, was to generate more sales via their online instalment calculation and sign-up tool which had an outdated design and needed new to adhere to new legal standards. Once the user experience interaction was finalised, we were able to design and implement a unique and welcoming design solution to fit their needs. Responsive designs included six sizes: Extra Large Desktop, Large Desktop, Landscape Tablet, Portrait Tablet, Landscape Mobile, and Portrait Mobile. WUA! 's Top 100 Best Websites of 2015, 1st prize in the Energy Branch!